One Stop Mobility offers lift chair rentals that can assist you in recovering from injuries and mobility impediments. The design of the lift chair allows the user to reach multiple reclining positions that can accommodate the user to ease in and out of the chair without any assistance. A power lift chair can be extremely helpful for getting people who have mobility challenges, up and out of the chair. It is also helpful for the family members or caretakers of the user because the chair can often times bear much more weight than the actual person who is helping. As a user, if you will have difficulty sitting down or standing up due to a lack of strength, a lift chair may be your best option. 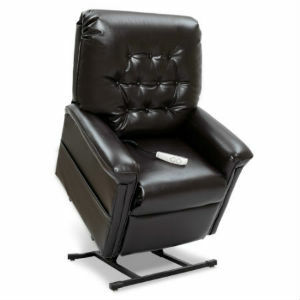 A lift chair is similar to the standard laz-y-boy recliner chairs you will see used in a living room. Yet, these chairs allow the user to not only fully recline but also recline forward to assist the user in getting out of the chair. These types of chairs will be used if you need to recover with medical rehabilitation.